For most of the year, I am not normally much of a soup girl. But when autumn rolls around, I find myself making soup all the time. 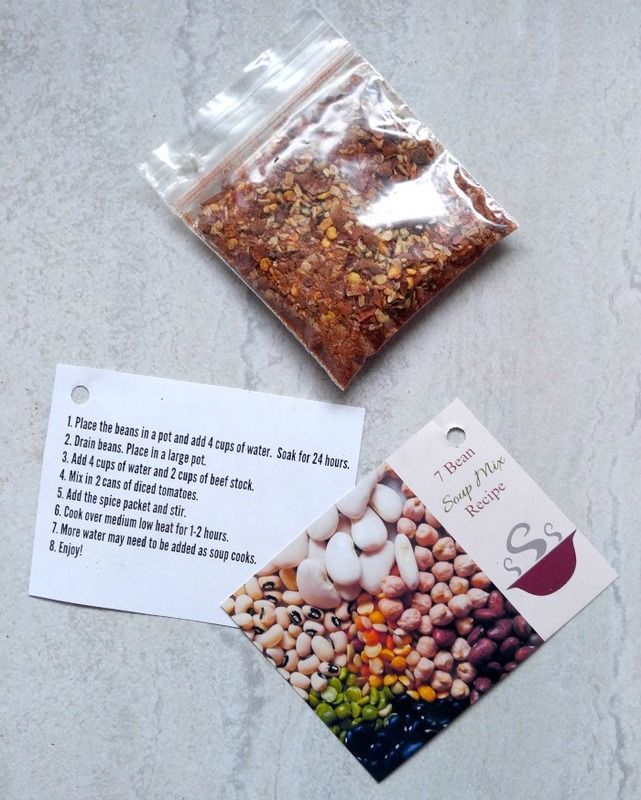 This 7 bean soup mix is the perfect fall recipe. 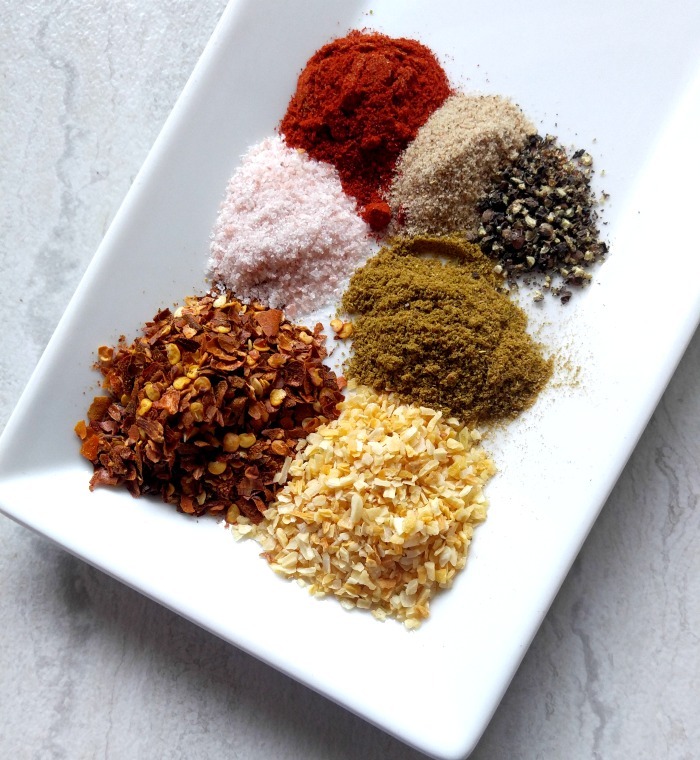 It is rich and hearty and has a lovely spicy herb blend to give the soup a lot of flavor. When the temps get colder, one of my favorite meals is a half sandwich and a big bowl of steaming soup. It warms me to the bones and, for some reason, seems really satisfying to me when the outside temperature is chilly. 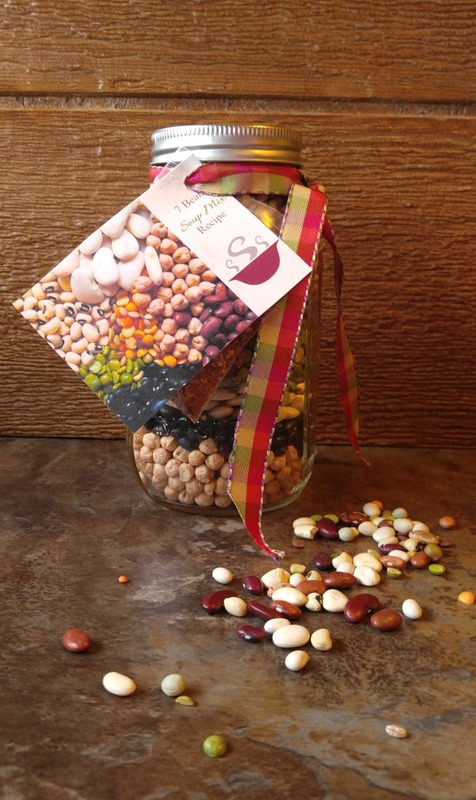 I thought it would be fun to put together one of my favorite 7 bean soup mix recipes into a Mason Jar and add the spice packet, my original recipe and a decorative ribbon. The presentation makes it perfect for gift giving. 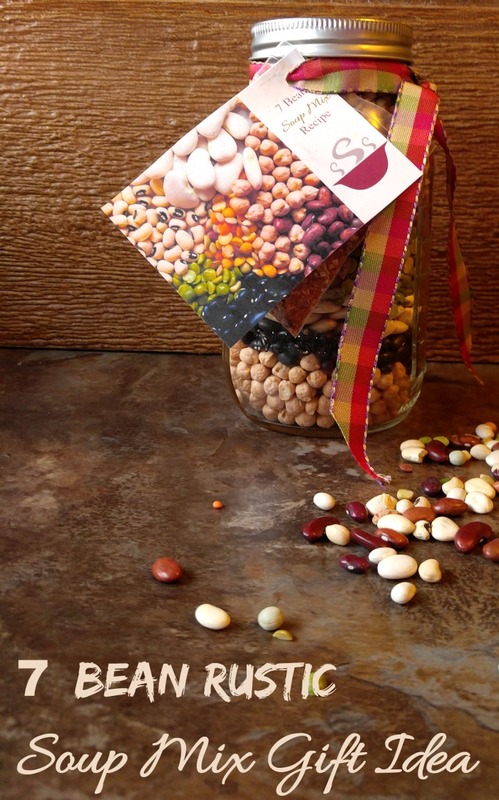 It will make a nice hostess gift or housewarming present for a friend who loves to cook. 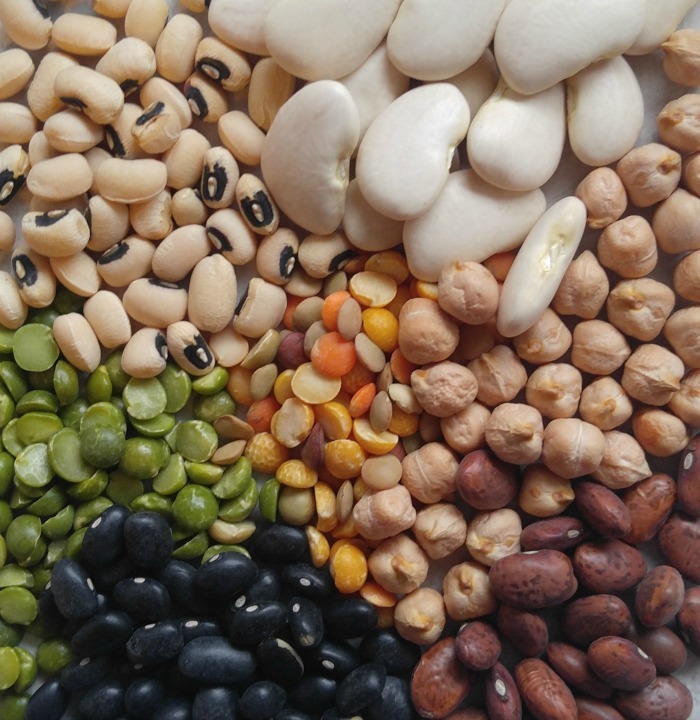 Dried beans are wonderful to use in soup mixes. The sky is the limit for the types that work well in soups. 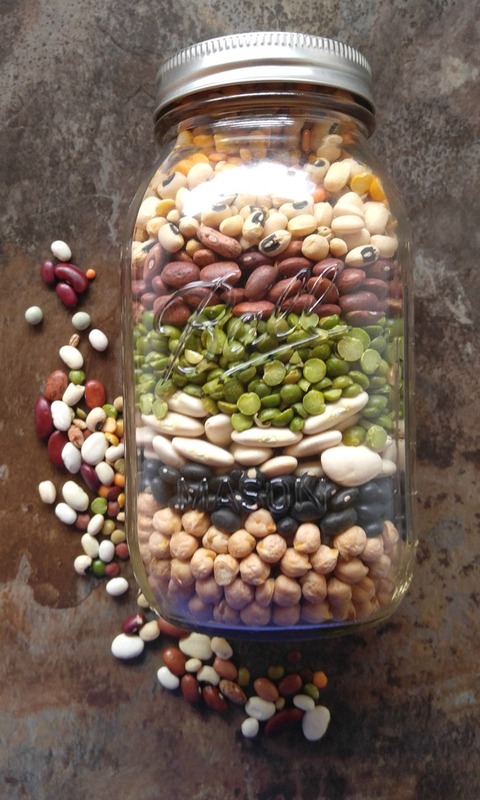 This 7 bean soup mix jar would make a great housewarming party gift. 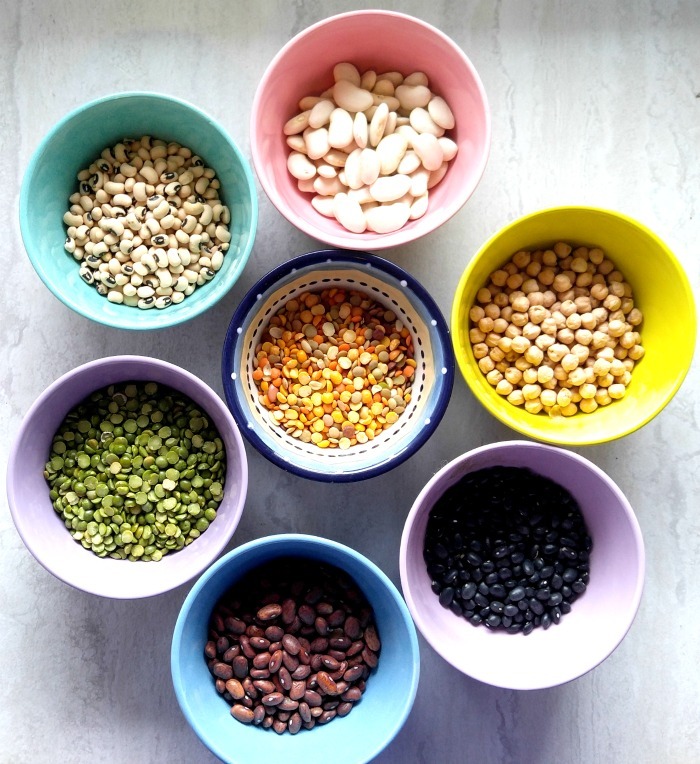 .I’ve even used 15 of them all at once in a taco soup, but for today’s project, I chose 7 of my favorite beans. Lentils I used both orange and brown for color. 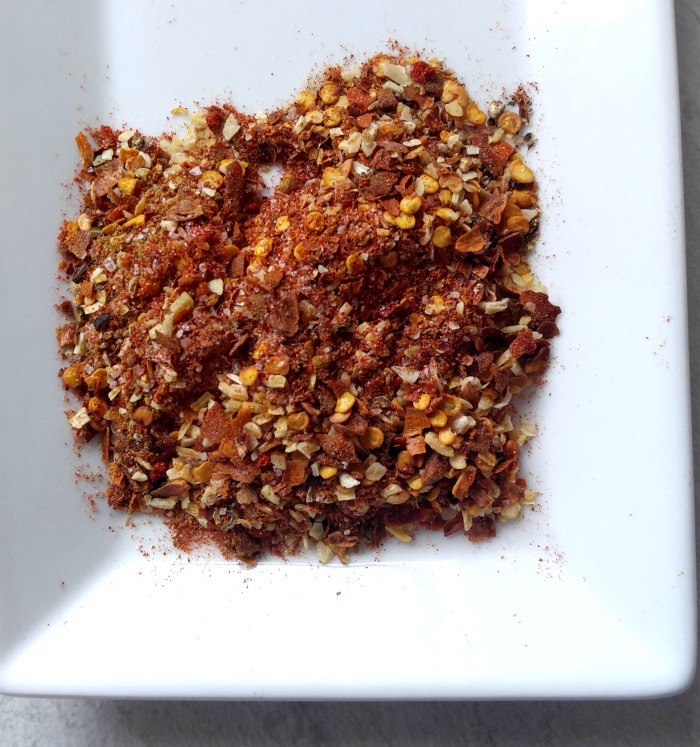 Just blend your spices together to make the spice blend for your spice packet. Now it is time for some printing. I made both a jar label and a recipe card for you to use. I printed mine out on glossy photo paper so that it would present well and not smudge. Print the Jar label here. I printed both of these 4 inches wide and this fits one of the larger Mason Jars well. Print the recipe card here. The next step is to use a glue stick to glue the recipe card to the back of the jar label and punch a hole with a hole punch in the corner. I put my spice mix into a small zip lock bag. (I used a small jewelry baggie that I had on hand but any small baggie will do. Punch a hole in the corner for a ribbon. Time to assemble the beans! I layered them by alternating the darker beans and lighter colored ones to make a pretty presentation. I placed my beans in the larger sized 32 ounce Mason Jar. They filled it right to the top of the jar! Now comes the ribbon. I chose an autumn plaid ribbon and threaded it through both the spice packet and my Jar label/recipe card and tied it around the neck of my filled Mason Jar. Voila! The perfect hostess gift. 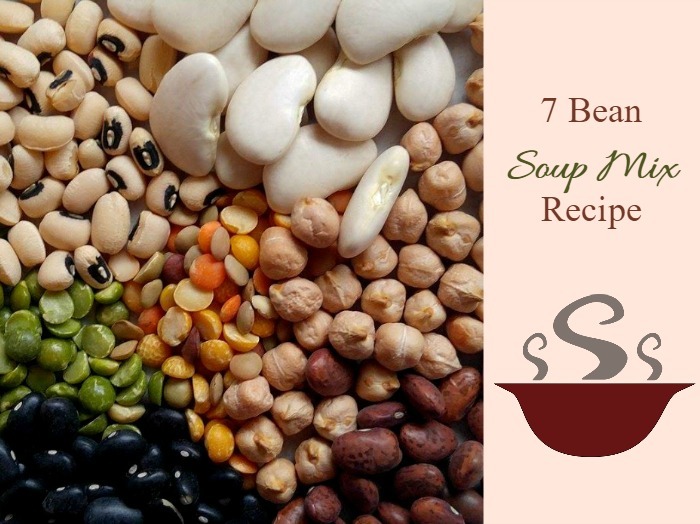 This 7 bean soup mix makes a very flavorful soup with just a hint of spice. It cooks in about 2 hours and is very tasty! 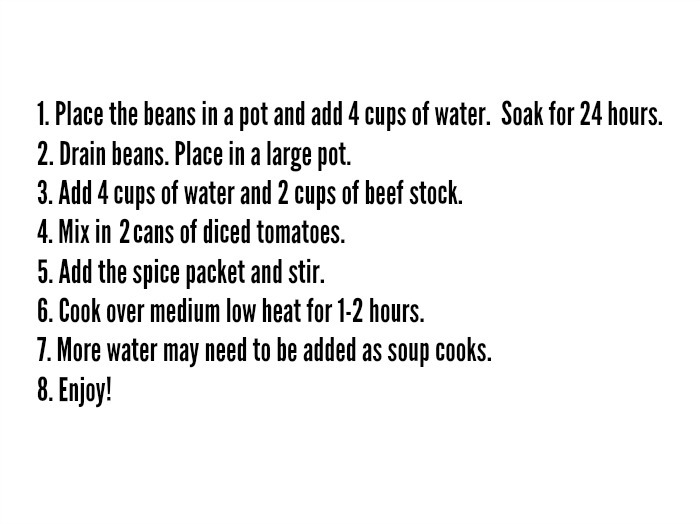 Just want to make the 7 bean soup mix for your own enjoyment? Use the recipe card below! Do you give food gifts to your friends? What are your favorite food items to gift? Tell us in the comments below! For more Autumn themed DIY projects, be sure to visit my It’s Time for Fall Pinterest Board. 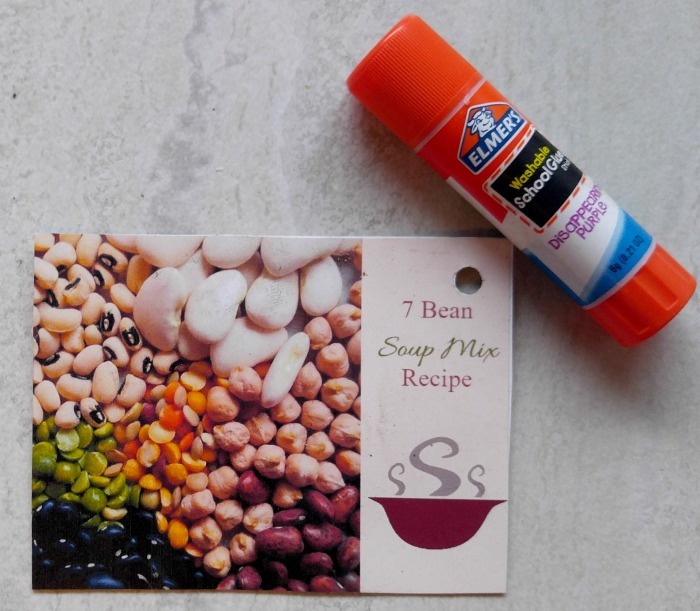 This 7 bean soup mix is the perfect fall recipe. It is rich and hearty and has a lovely spicy herb blend to give the soup a lot of flavor. Place the beans into a large Dutch Oven. Add the spice packet and tomatoes. Stir in the water and vegetable broth. Heat over a low to medium heat for about 2 hours. Add more liquid if needed during the cooking time. This recipe looks great! Can you cook the soup in a pressure cooker? Thanks for your reply! I will try it out and let you know what works. I did notice that there is a discrepancy in the recipes here…. one calls for beef broth and the other calls for vegetable broth. Also, what size can of tomatoes and what form works best…… crushed, diced, stewed? Thanks.